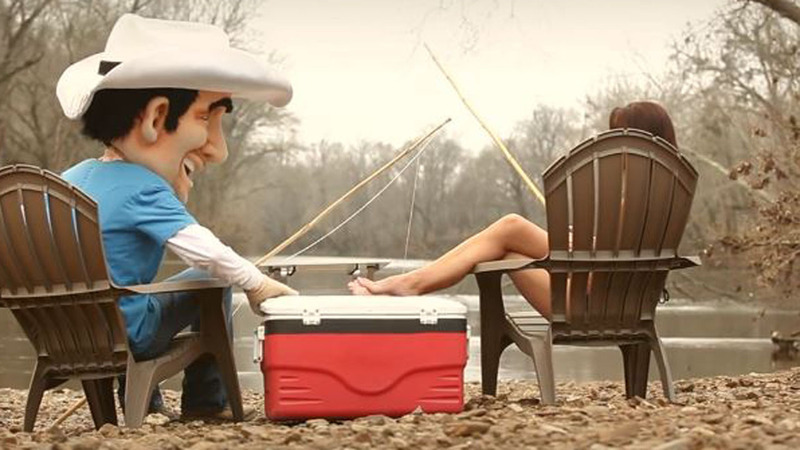 Following the release of Wheelhouse on April 9th, West Virginia native and country music superstar Brad Paisley treats fans to a brand new summer anthem dubbed ‘River Bank’. You may have caught Paisley’s debut performance of ‘River Bank’ during the 2014 Academy of Country Music Awards where he performed poolside at MGM Las Vegas in the midst of a rowdy red solo cup-wielding crowd. Much like his past party-fueling hits, ‘Mud on the Tires’, ‘Alcohol’, and ‘Water’; ‘River Bank’ is a welcome feel-good country song that strikes a chord with sun-loving country fans across the nation. For this track, Brad Paisley teamed up with longtime songwriting partner Kelley Lovelace who also collaborated with Paisley to pen several hits such as ‘He Didn’t Have to Be’, ‘The World’, ‘Ticks’, ‘Online’, ‘I’m Still a Guy’, ‘Start a Band’, ‘Water’, and ‘Remind Me’. ‘River Bank’ could be considered a small detour from the heavier themes Paisley addressed in Wheelhouse‘s controversial ‘Accidental Racist’ and thought-provoking ‘Those Crazy Christians’ and ‘Karate’. He left his comfort zone while recording the Wheelhouse album and took a giant leap forward both artistically and personally. Prior to Wheelhouse, Paisley had never acted as his own producer, built a studio, recorded tracks utilizing just his road band, and never tackled such an undertaking without a Nashville-based safety net. The 17 tracks on Wheelhouse are the product of Paisley’s down-home grit and determination. Pleasantly buoyant ‘River Bank’ gives us a peek into Paisley’s current musical undertaking, which is expected to drop later this year. A whopping 120 country stations are already spinning the record, giving the seasoned country artist a career-high opening week. As always with Paisley, we can expect lighthearted lyrics to mingle seamlessly with tracks featuring deeper messaging. 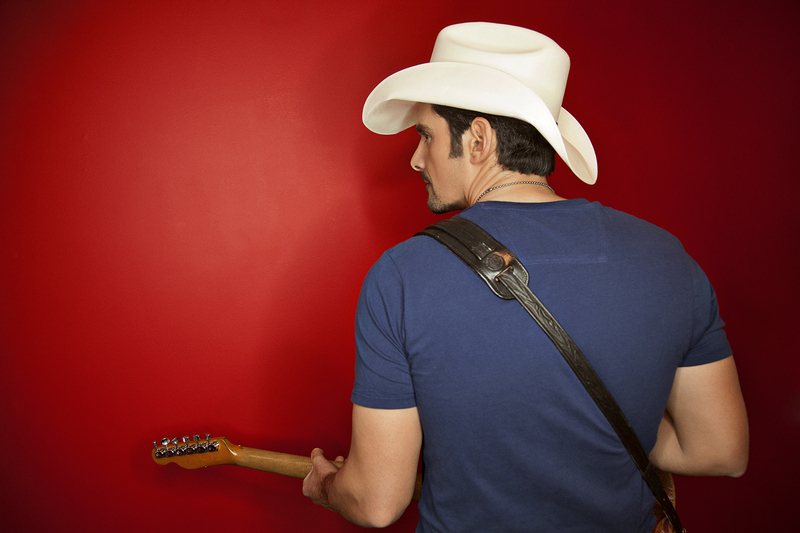 Can’t get enough of Brad Paisley‘s signature smirk or stellar guitar riffs? Rejoice fans, his latest North American tour kicks off on May 16th and runs through September 20th!